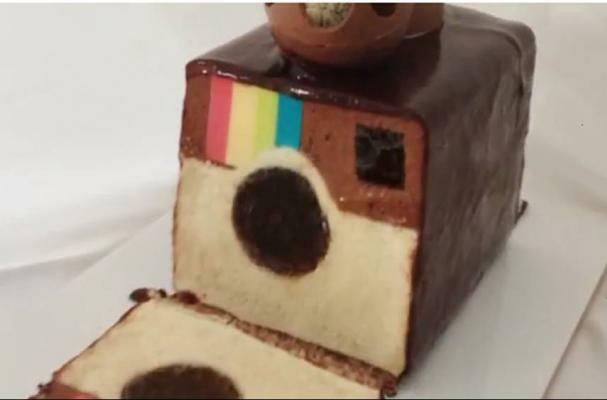 This Instagram cake is an edible version of the popular photo app. This chocolate mousse cake takes a considerable amount of time but the good news is that is can be made well in advance. Watch the video below to view step by step instructions.